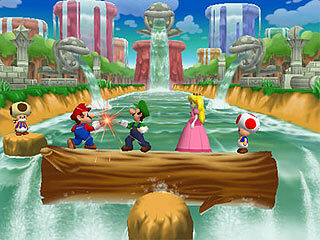 Sink the old Toadsworth ! 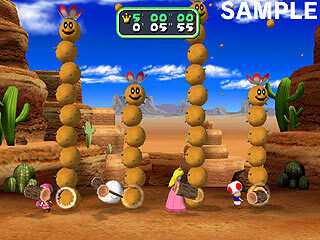 Revenge of the moles !?
" 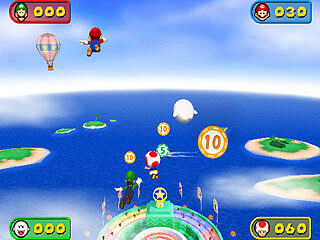 Toadsworth has invited Mario and all his friends to go on a luxury cruise around the world. 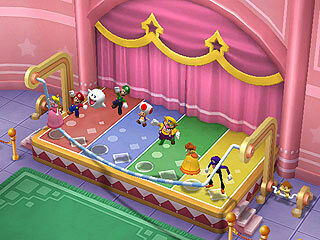 However, someone gets left behind ... Bowser! 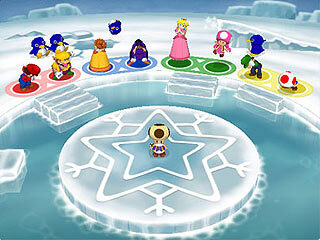 Furious at being omitted from the exclusive guest list, the Koopa King vows revenge! 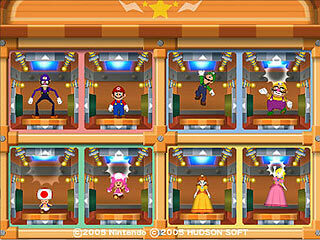 When the cruise ship arrives at its first destination, the passengers discover that Bowser has turned their vacation paradise into a stress-filled madhouse!" 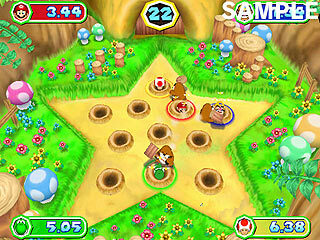 "- Explore the world with six brand-new game boards! 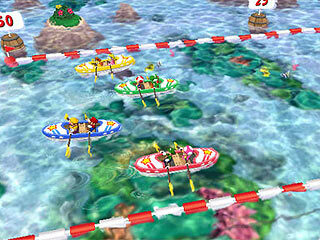 Each board serves as an exotic port of call--China, the Netherlands, Egypt, Venice, the United States and Bowser World! 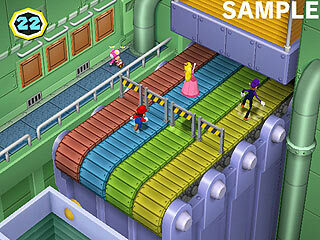 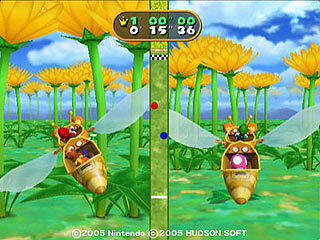 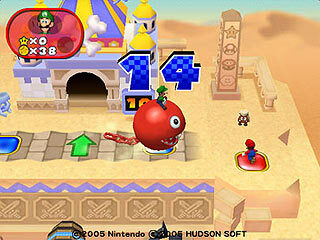 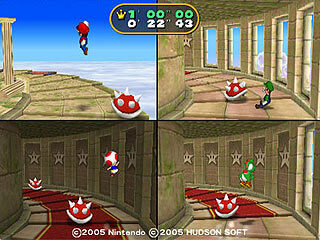 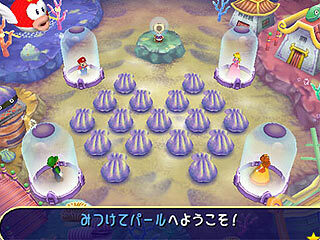 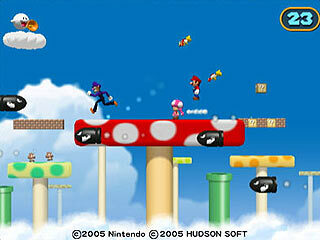 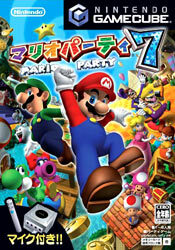 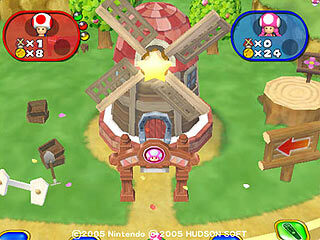 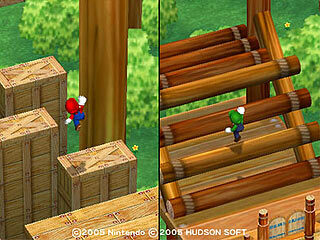 - Up to eight players can participate in the action, four more than the previous Mario Party titles! 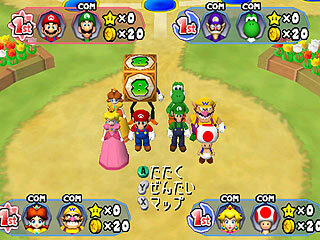 In a four-player game, each participant will have his or her own Controller. 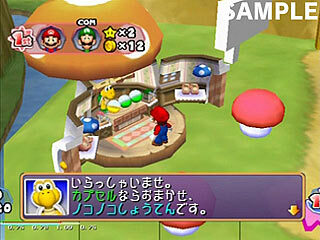 In an eight-player match, two players will share one Controller. 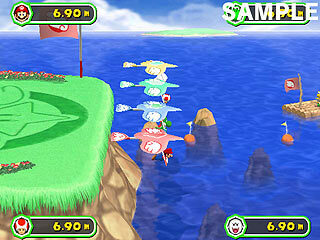 - 86 all-new mini-games, 10 of which use the GCN Microphone. 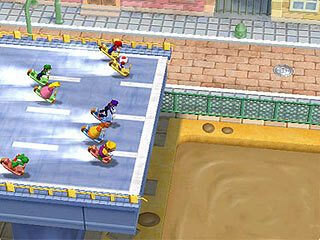 - Exchange your "mileage points" and items for awesome unlockables and other fun prizes."